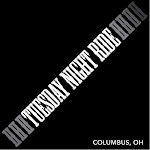 The $30 registration fee includes an official Bike the C-Bus 2013 t-shirt (if you register by August 23) and wristband along with drinks and food at designated rest stops, plus a free lunch in the hospitality area. Online registration ends at NOON on Friday, August 30, 2013. On-site registration will increase to $35 on Friday evening and Saturday morning. Are you a Yay Bikes! member? Yay Bikes! members get $5 off registration. Email rgeorge@bikethecbus.com for your discount code if you are a CURRENT Yay Bikes! member. If not, become a Yay Bikes! member today and email for your code.